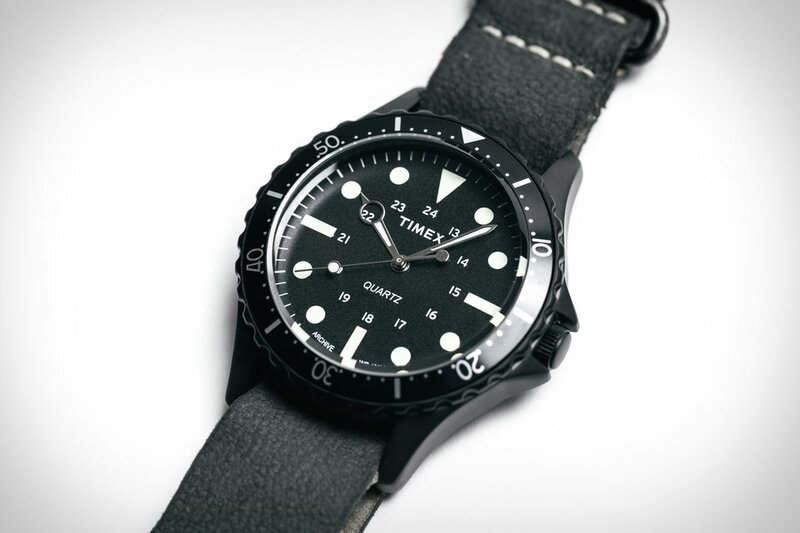 Using design cues from its archive of dive and military watches, Timex has built a modern, everyday watch that's a standout in a range of new offerings. Sporting a black stainless steel case and matching black dial, the quartz-powered Navi Harbor has easy-to-read markers, a rotating bezel, and an inner ring of numerals to mark 24-hour time. Part of a new generation of timeless watches, the Navi Harbor is finished with a leather strap that's been stonewashed in Italy.